Trading activities between Japan and the Association of Southeast Asian Nations (ASEAN) are growing rapidly with the two sides' import and export values both exceeding US$100 billion each year for the past five years. In 2013, the combined amount of import and export values between the two reached US$230.31 billion with ASEAN contributing 15.5% of Japan's overall export value. The values are continuing to grow, according to Digitimes Research's findings. Japan mainly exports steel, semiconductors and car components to ASEAN. From 2009-2013, Japan's exports of raw materials include steel and transportation products including car components and each enjoyed over 10% compound annual growth rate (CAGR) each year. The export of IT products including semiconductors had less than 5% CAGR during the period because of Japan IT industry's weakening. Looking at Japan's foreign direct investment (FDI) in 2013, ASEAN accounted for 17.5%, up from 4.8% in 2008. 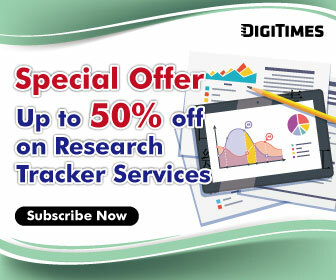 Among countries in ASEAN, Japan had higher FDIs in Indonesia, Thailand and Vietnam, each having over 50% CAGR from 2009-2013, Digitimes Research noted. Japan's investment in Indonesia was the largest within ASEAN and Japan has been increasing its investments in Indonesia, helping the Southeast Asia country to advance from Japan's fifth largest invested country in 2011 to second in 2013, behind only China. Productions of cars and related components are Japan's major investment items in Indonesia. Indonesia's large population and support from government policies also helped the country's car industry grow and enjoy sales of 1.23 million cars in 2013, up 10.2% on year with 95% of the cars made by Japan-based makers. Thailand's governmental fluctuations also pushed Japan-based car makers to expand their investments in Indonesia, bringing component makers to establish plants in the country.